Drop a few Barbarians with Archers support at the Archer Towers, then deploy several Giants at the Air Defense, supported by a few Archers. Throw a Balloon at them to finish up. 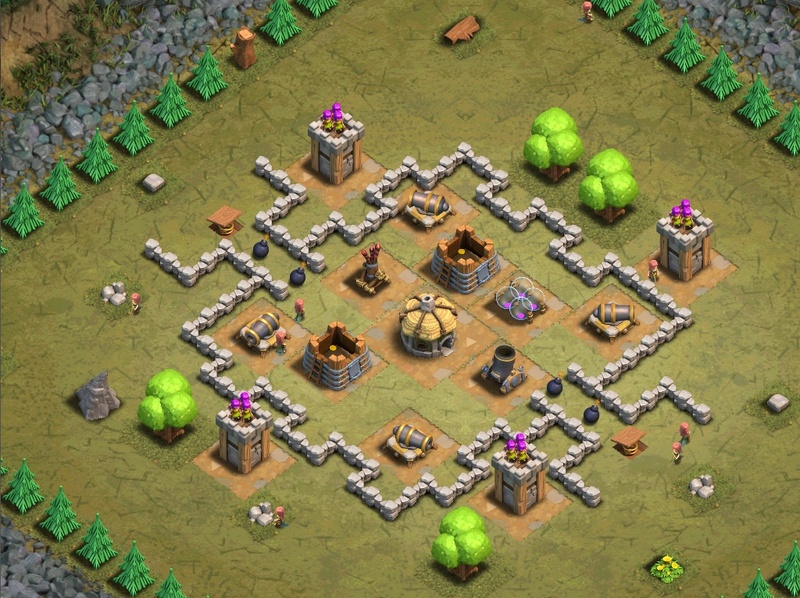 Deploy 2 Giants at each Archer Tower, then deploy 1 Wizard (unlockable at TH5) at each of the archer towers excluding the top one. Instead, deploy some more giants, send in a Wall Breaker, and spell the Air Defense. Clear the rest with a Balloon. You can end a battle and be victorious when you have won at least one star in it.